I am currently doing a project that requires some background knowledge of Aristotle’s Nicomachean Ethics. Instead of giving you a summary (because that would take too long), I thought I’d mention what stood out to me in the work. The Nicomachean Ethics (c. 300 BCE) is roughly divided into four sections: Virtue, Justice, Pleasure, and Friendship. 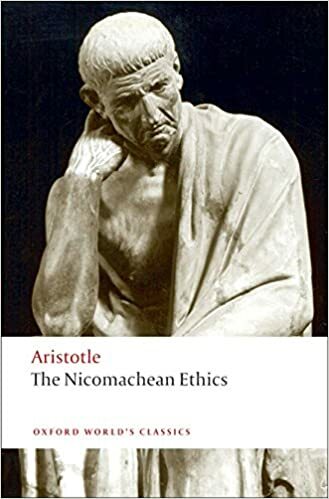 Aristotle’s greatest contribution to the West is arguably in the area of virtue ethics, although his Metaphysics and Politics were also influential. I decided to do my project on the Ethics because it’s a work that I have wanted to read ever since I finished The Power of Habit by Charles Duhigg. As I’ve mentioned before on this blog, I am fascinated by studies on habit formation. Graduate school should be about reading difficult things, so I often choose to do my term papers on texts that I have been putting off reading. I love that Aristotle defines virtue as an action. It’s not an intention or a feeling. Virtuous people ACT virtuously. Although moral virtue has a natural component, it is mostly the result of habit. If you want to be courageous, you have to practice acting courageously by taking on projects that make you uncomfortable. According to Aristotle, true philosophers are not merely theoreticians. They walk the walk too. Aristotle argues that all humans seek the good because it brings them happiness. We do everything for happiness, but not all actions can make us truly happy. Every virtue involves choice and is the mean of two extremes. The middle-path can be difficult to discern, but it leads to the greatest happiness. There were a few things, however, that put me off to Aristotle’s teachings in this section. First, love is not listed as one of the moral virtues. Second, pride is described as the root of all virtue (!). And finally, men alone have the capacity to be virtuous. When Aristotle says “men”, he means men. Women are described as under-developed men (lovely, I know). Unfortunately, the only notes I made in my book on this topic concern teachings that I dislike. Aristotle thinks that fathers cannot act unjustly toward their children because offspring are the equivalent of a “man’s chattel” until they can live on their own. He also does some victim-blaming in the subsection on anger. An angry man is less guilty than the one who provoked his anger: “[F]or it is not the man who acts in anger but he who enraged him that starts the mischief”. Still, it is worth pointing out yet again that justice is not an inner disposition but an action. I’m sure Aristotle addresses political justice in more depth in The Politics. This is arguably the most confusing section of the book. The end-notes of my Oxford World’s Classics edition describes the scholarly confusion surrounding Aristotle’s teaching on incontinence. I did, however, gather a few things from this section. Only humans are capable of being continent because only humans have the capacity for universal judgement. Men become incontinent when sleep, anger, or alcohol impede their judgment. Incontinence, like vice, is an excess. I appreciated that Aristotle didn’t try to address a myriad of individual cases, but admitted that many situations require discernment. Aristotle is not opposed to pleasure. In fact, he thinks it’s impossible for a person to be happy while experiencing torture (against the Stoics). Those who say that the victim on the rack or the man who falls into great misfortunes is happy if he is good are, whether they mean to or not, talking nonsense. I agree. I can certainly see people acting courageously in difficult situations, but they aren’t happy. Pleasure is not evil in itself because “all things have by nature something divine in them”. Pleasure only leads to vice if it is taken to an extreme. Only if pleasure obstructs a person’s ability to reason or to behave temperately is it harmful. This is, hands-down, my favorite section of the book. Aristotle defines a friend as a second self. For a man to be happy, he needs friends because humans are meant for community. Consequently, a healthy state functions as a kind of friendship between the leader and the people. In the 16th century, Montaigne will disagree that any kind of friendship can exist in a hierarchical relationship, but Aristotle things that equality does not necessarily mean that everyone should be treated in the same way. While I am more inclined to agree with Montaigne’s definition of equality, I appreciate the communal/political dimension Aristotle gives to the concept of friendship. He makes it clear that friendship requires justice. It is justice that creates equality in a hierarchical relationship. Reciprocity is central to a good friendship. Bad friends only care about what they can get from another person. They are compared to tyrants who use others for their own benefit. The best friendship is between two virtuous men, but all true friendships are pleasurable and good. In the 16th century, Michel de Montaigne will develop Aristotle’s teachings on friendship in his essay “Of Friendship“. This beautiful meditation is inspired by Montaigne’s life-long friendship to Etienne de La Boétie. Aristotle is at his best when he makes general observations about human behavior. If you are interested in habit formation or virtue ethics, I recommend The Nicomachean Ethics. It is a good place to begin. 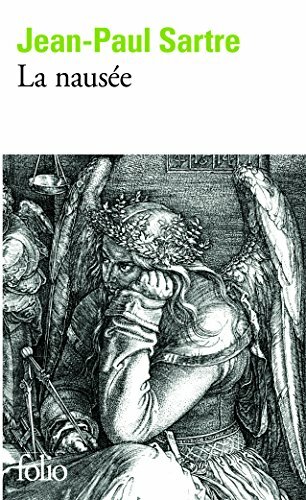 I’m so glad that I put off making my 2017 favorites list until at least December 31 because Boethius’ Consolation of Philosophy (which I finished today) will definitely make it on that list. To be honest, this was actually a reread. I read it for the first time in February 2016. But I include on my favorites lists any books that I have read and loved during that year. When Boethius wrote Consolation of Philosophy in 524, he was under house arrest and awaiting execution. Anicius Manlius Severinus Boethius was born into a powerful family; his father was consul and Boethius was himself appointed to the position in 510, during the reign of King Theodoric. In 522, both of his sons were made joint consuls. He held many positions of power and privilege throughout his life, but in 523, Boethius was unjustly accused of treason and imprisoned in Pavia. Boethius finished Consolation of Philosophy shortly before his brutal execution in 524. Consolation of Philosophy is a fictional dialogue between Boethius and Lady Philosophy about reason, justice, fortune, and free will. Lady Philosophy’s message is particularly relevant in today’s political climate. It’s also perfect for the Christmas season. 1) You cannot trust Fortune. Do you really hold dear that kind of happiness which is destined to pass away? Do you really value the presence of Fortune when you cannot trust her to stay and when her departure will plunge you in sorrow? And if it is impossible to keep her at will and if her flight exposes men to ruin, what else is such a fleeting thing except a warning of coming disaster? 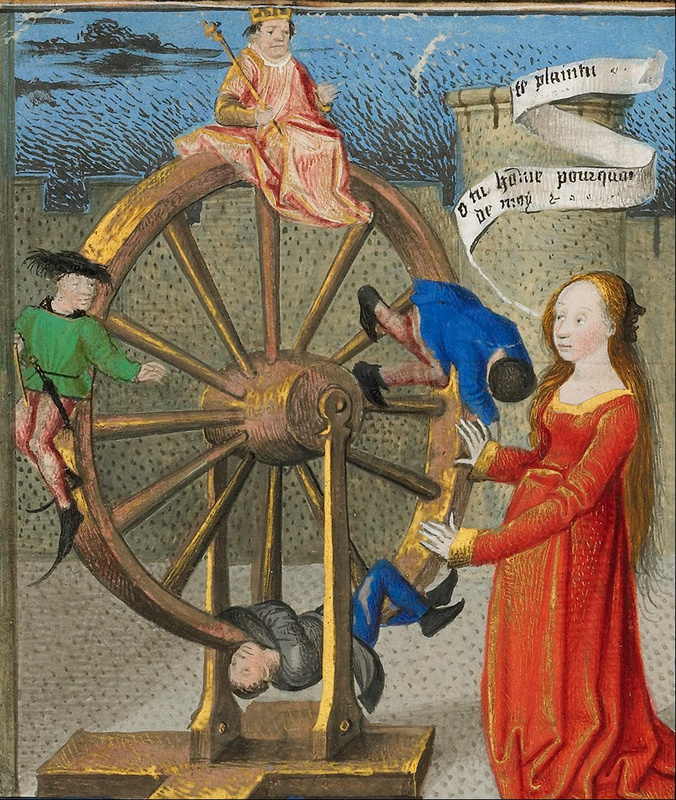 […] If you are trying to stop her wheel from turning, you are of all men the most obtuse (p. 23). The wheel of Fortune is all about chance. No one should trust good fortune to last forever. In a moment, you could lose everything. Indeed, every person dies with empty hands. You know there is no constancy in human affairs, when a single swift hour can often bring a man to nothing. For even if you can’t expect any permanence in a life of chance events, on the last day of one’s life there is a kind of death for Fortune even when she stays with one (p. 28). 2) Wealth cannot bring freedom. 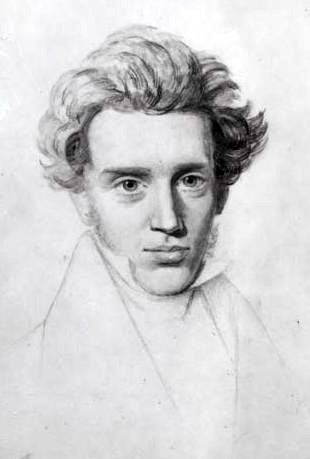 [W]ealth cannot make a man free of want and self-sufficient, though this was the very promise we saw it offering (p. 52). Greed makes the rich want more than they already have. No one is ever satisfied with the wealth they have. The more wealth you have, the more outside help you need to protect it. 3) High office does not make a person more worthy of honor and respect. [H]onour is not accorded to virtue because of the office held, but to the office because of the virtue of the holder (p. 37-38). Only people can be worthy of honor and respect, not offices. If a wicked person occupies a high office, he is still unworthy of respect. [V]irtue has her own individual worth, which she immediately transfers to whoever possesses her. But as public offices cannot do this, it is clear that they have no beauty or worth of their own” (p. 54-55). 4) You can’t truly own anything that Nature hasn’t already given you. If Nature gives them their beauty, how does it involve you? They would still have been pleasing by themselves, even if separated from your possessions. It isn’t because they are part of your wealth that they are precious, but because you thought them precious that you wanted to add them to the sum of your riches (p. 35). The only thing you can truly own are your virtues. It seems as if you feel a lack of any blessing of your own inside you, which is driving you to seek your blessings in things separate and external (p. 35). Avoid vice, therefore, and cultivate virtue; lift up your mind to the right kind of hope, and put forth humble prayers on high. A great necessity is laid upon you, if you will be honest with yourself, a great necessity to be good, since you live in the sight of a judge who sees all things (p.138). Source: Boethius. Consolation of Philosophy. 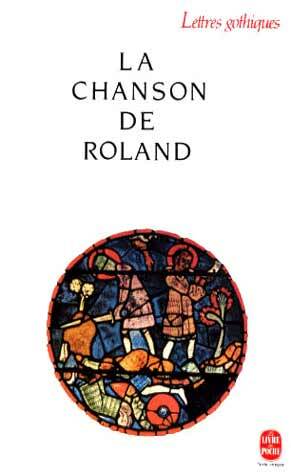 Translated by Victor Watts, Penguin Classics, 1999. 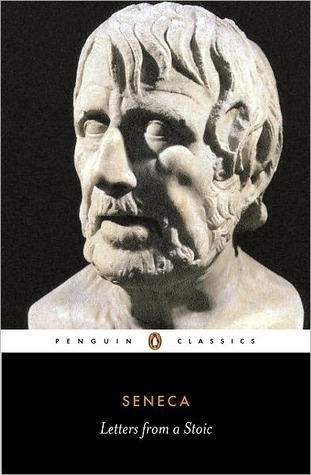 Penguin Classics has produced a collection of the selected letters of the Roman statesman and Stoic philosopher Seneca. I was first introduced to Seneca in an introductory Latin course last year. My textbook included a highly dumbed-down version of a passage from Letter XII (known as De Senectute or On Old Age). In the letter, Seneca compares himself to his now dilapidated villa. His servant tells him that his house is in need of repairs, but Seneca remembers when his villa was first built. How could he be so old? He can no longer recognize his childhood friend. The passage from Letter XII inspired me to read Seneca’s other letters. And this is what we mean when we say the wise man is self-content; he is so in the sense that he is able to do without friends, not that he desires to do without them (Letter IX). Not all of Seneca’s letters, however, deal with such unpleasant subjects. While he never pushes for the abolition of slavery, he condemns the mistreatment of slaves. Slaves are human too, so they should be allowed to eat with their masters. In general, people should make friends for self-less reasons to avoid becoming dependent on others and because there is freedom in living virtuously. Seneca encourages his students to celebrate Truth wherever it may be found and to forge their own paths in life. In multiple letters, He positively cites his opponent Epicurus. The thought is always more important than the thinker. Seneca disapproves of cults of personality. Someone, though will say, ‘But I want to live because of all the worthy activities I’m engaged in. I’m performing life’s duties conscientiously and energetically and I’m reluctant to leave them undone.’ Come now, surly you know that dying is also one of life’s duties? You’re leaving no duty undone, for there’s no fixed number of duties laid down which you’re supposed to complete. Every life without exception is a short one. Looked at in relation to the universe even the lives of Nestor and Sattia were short. In Sattia, who ordered that her epitaph should record that she had lived to the age of ninety-nine, you have an example of someone actually boasting of a prolonged old age – had it so happened that she had lasted the hundredth year everybody, surely, would have found her quite insufferable! As it is with a play, so it is with life – what matters is not how long the acting lasts, but how good it is. It is not important at what point you stop. Stop wherever you will – only make sure you round it off with a good ending (Letter LXXVII). Indeed, Erasmus and other Renaissance humanists were highly inspired by Seneca’s teachings.